The conference will be held at St. Stephen's Episcopal Day School in the heart of Coconut Grove, Florida. 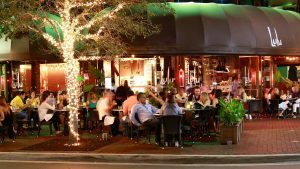 Part of the City of Miami, Coconut Grove – known to locals as "The Grove" – is one of the hippest, most energetic, most inviting corners of South Florida. The Grove offers many restaurants and shops within walking distance. A place for locals and tourists, Coconut Grove is trendy, ecclectic, and very diverse! St. Stephen's Episcopal Day School is in the heart of the Grove. It is conveniently located and easily accessible by air, car, and foot.